Comedian, actor, and writer, Nick Guerra (@NickComic) stops by the Facial Recognition Comedy Podcast to talk about his stint on Last Comic Standing, being put in an ethnic box for Hollywood, and how he dealt with difficult, sometimes violent, people in comedy. Found on your podcast app, iTunes, SoundCloud, Google Play, iHeartRadio, Stitcher, PlayerFM, and Spreaker! Support the podcast by becoming a patreon!!! 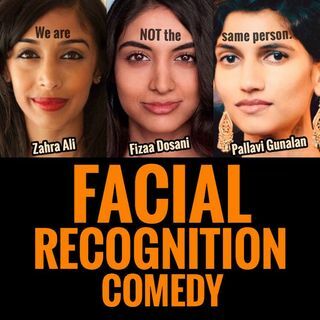 Get ... See More access to videos and additional content at https://www.patreon.com/FacialRecognitionComedy.